The above title does not mean the church today denies the miracles of creation, the flood, the walls of Jericho story, the virgin birth of Christ or his resurrection. Miracles confirmed the sonship of Jesus. "These are written that ye may believe that Jesus is the Christ, the Son of God. . ." (John 20:31). To disbelieve these miracles and look for modern-day miracles outside the Book demonstrates our lack of faith in the Bible and the Son of God it reveals. Like scaffolding, a temporary platform for workmen on a new building, miraculous gifts were temporary to enable the early church time to mature and grow. Instruction had to be given in the absence of a written, confirmed, complete and perfect revelation. These gifts were to last "till we all attain unto the unity of the faith, and of the knowledge of the Son of God, unto the fullgrown man, unto the measure of the stature of the fullness of Christ. . ." (Ephesians 4:13). These gifts came through the laying on of the apostles' hands. The apostles had to go to Samaria to lay hands on those Philip had converted and bestow gifts on them, because Philip could not do it (Acts 8:16). Paul laid his hands on twelve men at Ephesus and they spoke in tongues and prophesied (Acts 19:6). The seven deacons, including Philip, received the laying on of hands of the apostles (Acts 6:6). Paul laid his hands on Timothy to enable him to receive a special gift (2 Timothy 1:6). Finally, Paul longed to go to Rome, "that I may impart unto you some spiritual gift, to the end ye may be established" (Romans 1:11). It is very, very important that we keep in mind the third-persons with reference to miraculous gifts. Only the apostles could give the nine miraculous gifts (1 Cor. 12:4-11). The ones upon whom they laid their hands could not impart the gifts to the third-person Christians. If they could, why didn't Philip bestow the gifts on the Christians in Samaria? Therefore, when the apostles died, their hands died with them and the ability to bestow gifts by "the laying on of hands" died also. We must keep in mind that there are other measures of the Spirit. One, Christ possessed the Spirit "without measure" (John 3:34). Two, there was the baptismal measure of the Spirit for the apostles and the household of Cornelius (cf. Acts 2:1-4; Acts 10:44-45). Holy Spirit baptism was always spoken of in promise and not commanded (Matthew 3:1; Acts 1:4-5). There is the general measure of the Spirit. I like to call it the kinship measure of the Spirit. This measure is received by every child of God and makes us kin to God (cf. Rom. 8:9; 1 Cor 6:19-20; 3:16-17; Acts 5:32; Eph. 1:13-14). The miraculous gifts are named in Paul's letter to the Corinthians. He states: "For to one is given through the Spirit the word of wisdom; and to another the word of knowledge according to the same Spirit; to another faith in the same Spirit; and to another, gifts of healings, in the one Spirit; and to another workings of miracles; and to another prophecy; and to another discerning of spirits; and to another divers kinds of tongues; and to another the interpretation of tongues. . . dividing to each one severally even as he will" (1 Cor. 12:8-11). These gifts relate specifically to the infant church when it did not have the completed revelation of God as we have today. There was a special need then that does not exist now. The gifts were to confirm the word (Hebrews 2:1-4). They helped the church grow and keep out false teachers (Eph. 4:11-15). The word preached by the apostles was oral. They didn't have a New Testament like we have today. It was being written. Therefore, they had these gifts and could bestow them on others to confirm the spoken word. "How shall we escape, if we neglect so great a salvation? which having at the first been spoken through the Lord, was confirmed unto us by them that heard him; God also bearing witness with them both by signs and wonders, and by manifold powers and by gifts of the Holy Spirit, according to his own will" (Heb. 2:3-4). When my wife and I married in Altus, Oklahoma, forty-two years ago, our marriage license was signed and sealed by the county clerk of Jackson County representing the State of Oklahoma. I do not have to go back to Altus once a week, or once a year to see if it is still confirmed. Since Paul said it "was confirmed," and it is in the past tense, we learn two important lessons: First, the signs, wonders and gifts of the Spirit were manifested through the miraculous gifts. Secondly, for us to look for confirming signs today, exemplifies our lack of faith in the miracles of the apostles and the genuineness of the word of God. After discussing the nine miraculous gifts in the 12th chapter of First Corinthians, Paul wanted to point up a "More excellent way" (1 Cor. 12:31), hence he points to the way of love in the 13th chapter. He puts a deadline and dateline on the miraculous gifts by saying, "Love never faileth: but whether there be prophecies, they shall be done away; whether there be tongues, they shall cease; whether there be knowledge, it shall be done away. For we know in part, and we prophesy in part; but when that which is perfect is come, that which is in part shall be done away" (1 Cor. 13:8-9). Finally, with reference to 1 Corinthians 13:9, "For we know in part, and we prophesy in part," we have always had perfect knowledge in quality but not in quantity. Likewise, we have always had perfect prophecy in quality but not in quantity. But when Jesus' revelation came, miraculous gifts ceased and we have today perfect knowledge and prophecy in quality and quantity. 1 Robinson, Wayne A., I Once Spoke in Tongues, (Tyndale House, Wheaton, III., 1973) pp. 55, 141. 2 Workman, Gary, Spiritual Sword, (Getwell Rd. Church, Memphis, Tenn., April, 1981) p. 13. 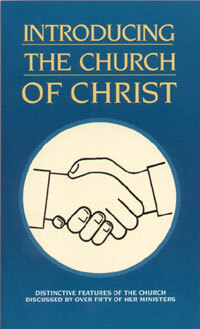 3 Boles, H. Leo, The Holy Spirit, His Personality, Nature, Work, (Gospel Advocate Company, Nashville, Tenn., 1971), p. 175. 4 Pack, Frank, Tongues and the Holy Spirit, (Biblical Research Press, Abilene, Texas, 1972), pp. 106-107. In what sense are the miracles of the Apostolic Age like scaffolding? How did we receive miraculous gifts? Did all first century Christians have miraculous gifts? At what point in history did the miracles cease? If divine miracles ceased to be given at the end of the first century, how do we account for the claims of modern day miracle workers?